I noticed I have only drawn female Little Ponies, so here's my three male ponies Tex, Sunburst (the most gorgeous boy in Ponyland) and Apple Delight (my only childhood boy pony). Tex makes me think of Brokeback Mountain for some reason. : p He lacks his bandana because I don't have that one and didn't think of it until just recently (one of those face/desk moments). The grass was made with a brush that I got from someplace some years ago, the background is from google (i think it's a screencap from the movie but I'm not sure). I miss the originals MLP! plus big brother ponies!!! So beautiful! Your Pony art is fantastic. Thank you so much for the comment & fav!! Apple Delight is such a charming little fella, isn't he? Yes he is! I've always loved those little dots down the middle of his back. Cute design. Tack så jättemycket för kommentaren & favven!! Kya~ My Little Ponies bring back such good memories. Like the old ones, not not new weird ones. Thank you so much for the comment & fav! Well, I'm not in the US either. yeah, Baby Lickety Split was the star of the movie. 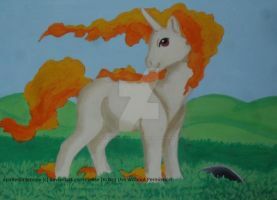 ^^ I had her when I was a kid and bought the adult Lickety Split from eBay when I started collecting ponies. how many ponies did you have as a kid? Oh boy...how many? I still have a box of maybe...30-40 in our storage closet.